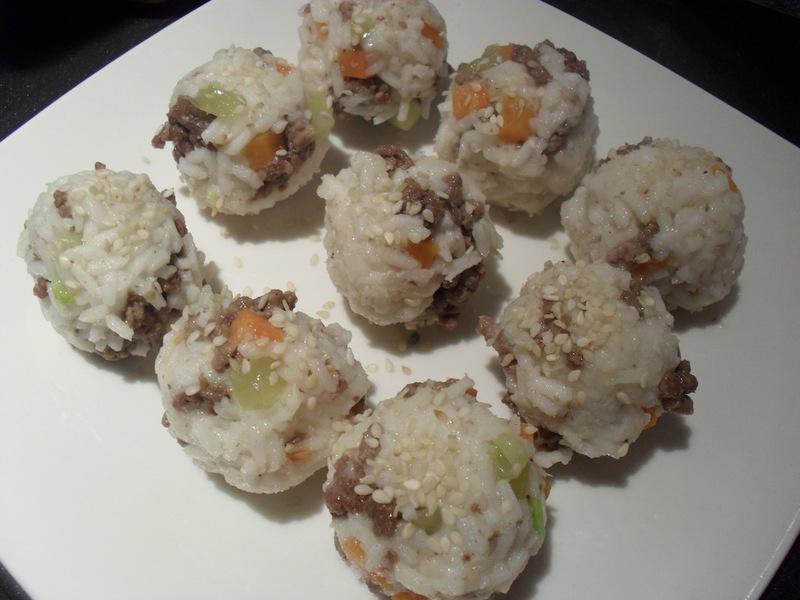 Soegogi jumeokbap 쇠고기 주먹밥 are vegetable and meat rice balls. They look good, taste good and are very easy to make. 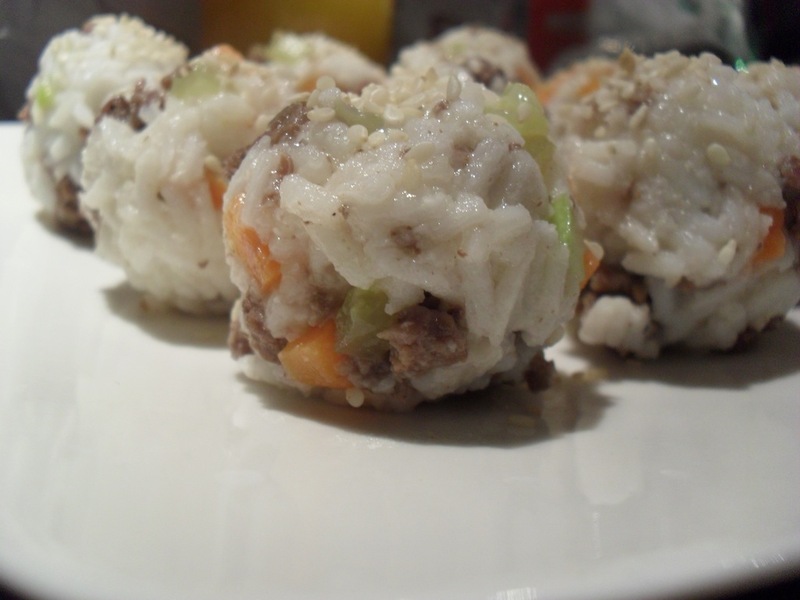 Soegogi jumeokbap is perfect for lunch, even when not formed into balls. 2 tablespoons of sesame oil. 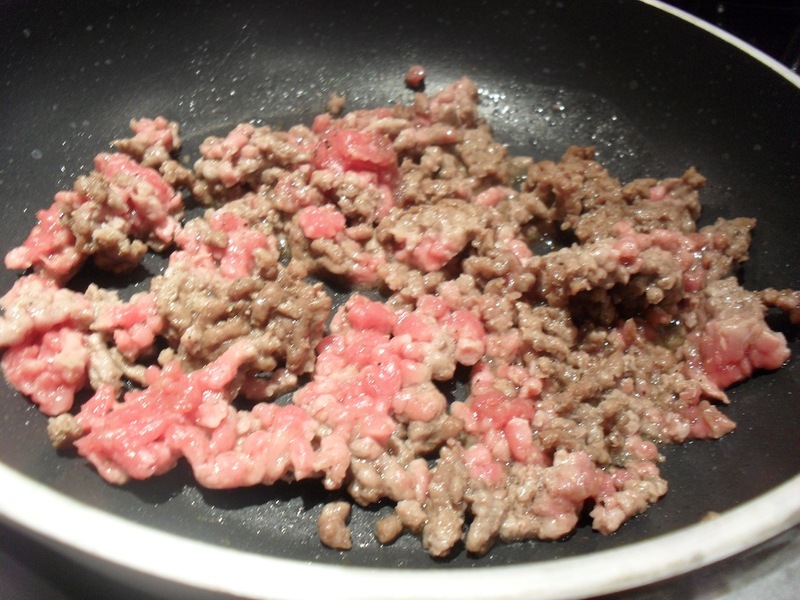 In a heated pan, fry minced beef with soy sauce, sugar, black pepper and a few drops of sesame oil. 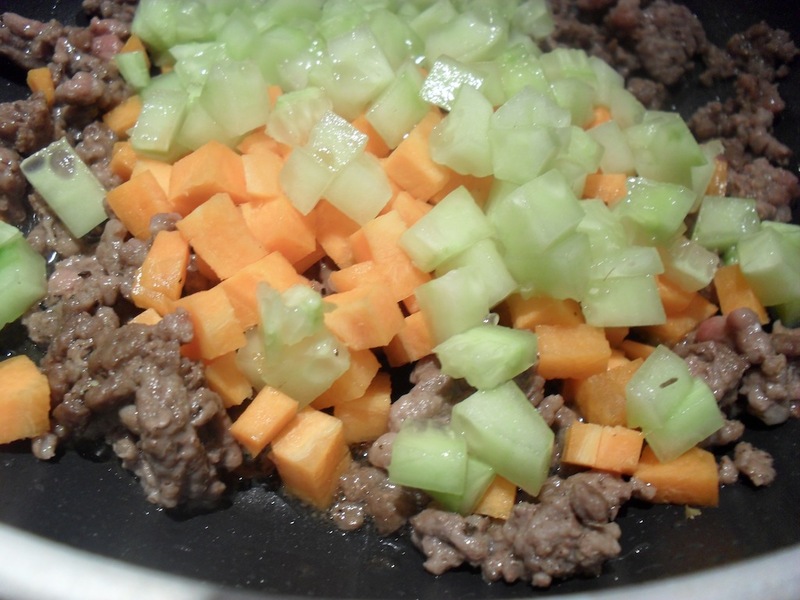 When the meet is cooked, add carrot and cucumber and let it cook until the carrot becomes softer. Cook rice and let it cool to room temperature. Put it in a bowl, add salt and the remaining sesame oil. Mix well. 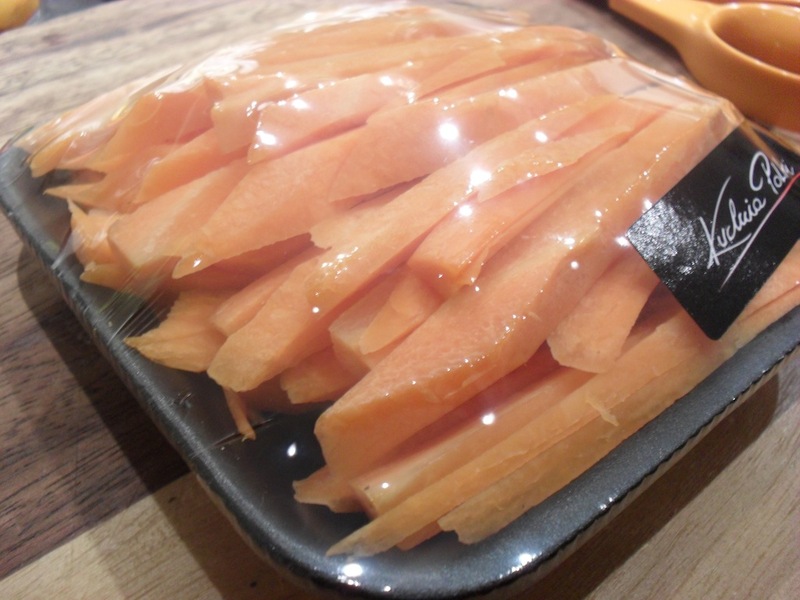 Combine it with fried vegetables and meat. Form small balls. You can sprinkle them with some sesame seeds.